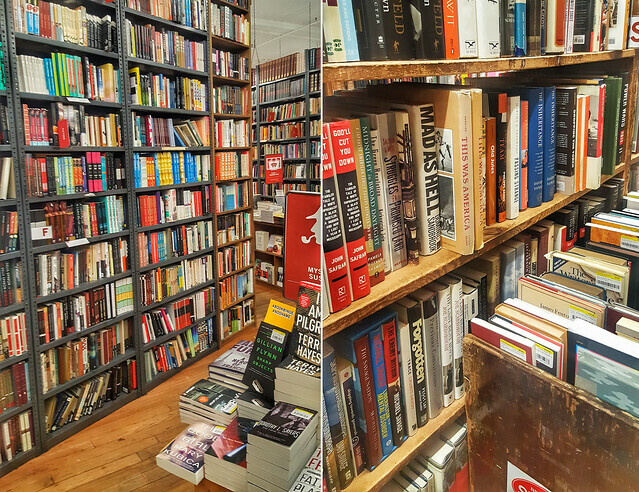 Not that anyone would have ever thought that New York City might have any issues in this matter, but I wanted to to do was to compile a personal list of the bookstores I’ve been to during my New York trips & share it with you as inspiration. This is the first from a series of articles about places I visited & enjoyed in the Big City. 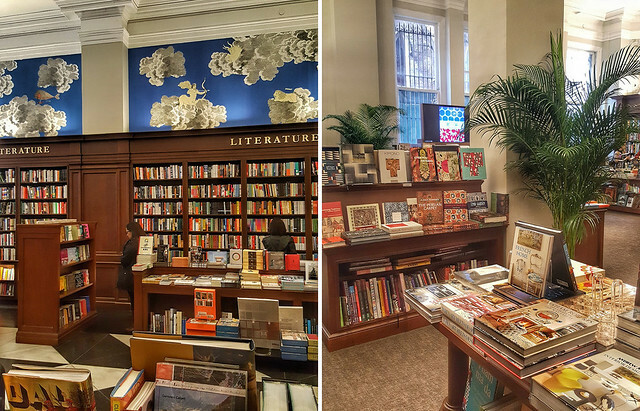 What first struck me about this bookstore, located at 1133 Broadway, was the show-stopping interior design. Upon entering, the first thing one notices is the beautiful contrast between the black&white tiled floor and the massive wood bookcases. Other impressive elements that caught my eye were the gorgeous sky-scape murals. Oh, and another plus for me was the music! 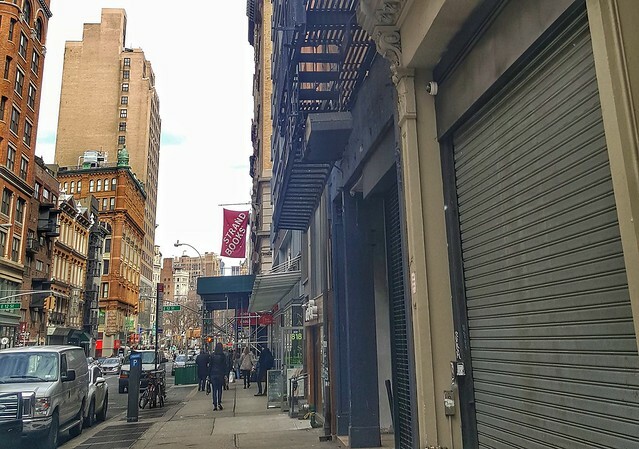 From what I’ve read, this is not the bookstore’s original location – the address used to be 57th Street, in a building that has been demolished since and apparently this action caused a lot of buzz back in 2014. 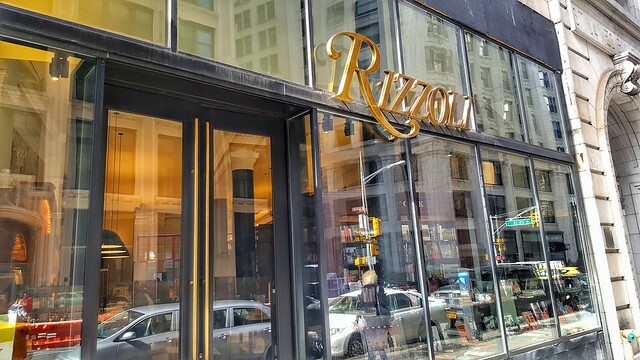 Unfortunately I didn’t get the chance to see the old location, but I must say I really enjoyed the atmosphere of the new Rizzoli. 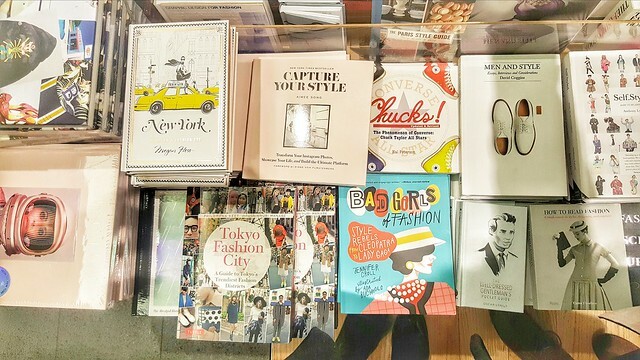 In regards to the book selection, this bookstore specializes in illustrated books and I was impressed with the variety of fashion and photography books&albums. 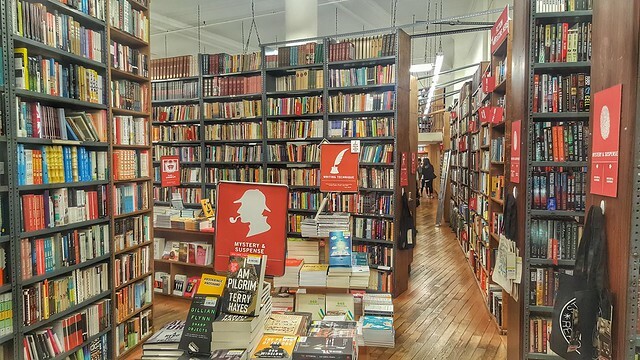 I wanted to go to Strand, located at 828 Broadway, since my first time in New York, but somehow I never had the chance until now. However, I must say that it was definitely worth the wait. I went there on a Sunday, and I arrived a bit too early (the bookstore opened at 11:00), but what surprised me was that people were already queuing outside. 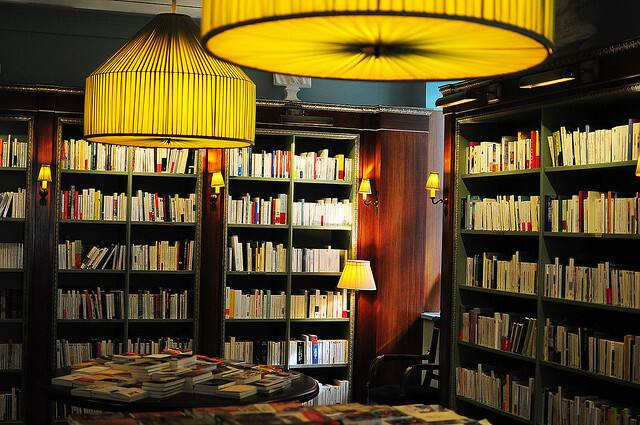 Strand is a famous indie bookstore, well-known for its variety of new, used and rare books. 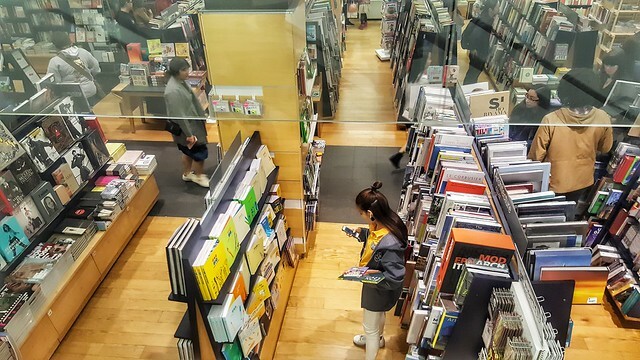 What I most liked about it is the feeling that you can get lost for hours in the maze of shelves (18 miles of books!!!) 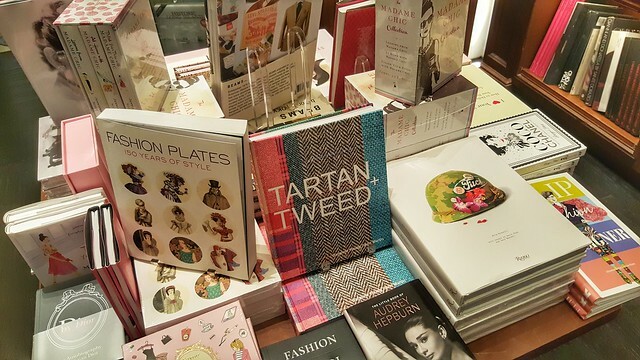 packed with an incredible variety of paperbacks, hardbacks and everything in between. I was happy to find a couple of books that I wanted to add to my short story collection for a while (The Paper Menagerie and Other Stories by Ken Liu and A Wild Swan And Other Stories by Michael Cunningham), but it was extremely difficult to stop myself from buying half the store. They also sell cute knick-knacks & Strand merch. 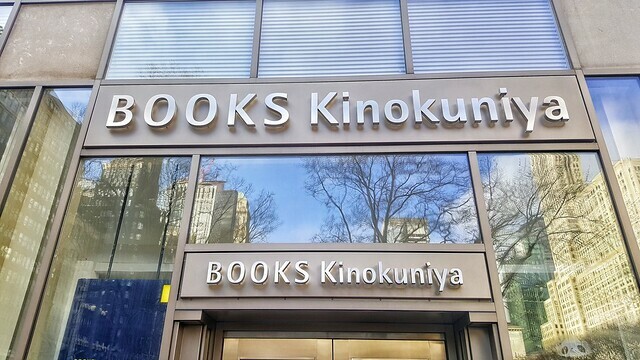 Kinokuniya Bookstore, located at 1073 6th Ave (across the street from Bryant Park), is a Japanese oasis in Midtown Manhattan and one of my favourite places ever. 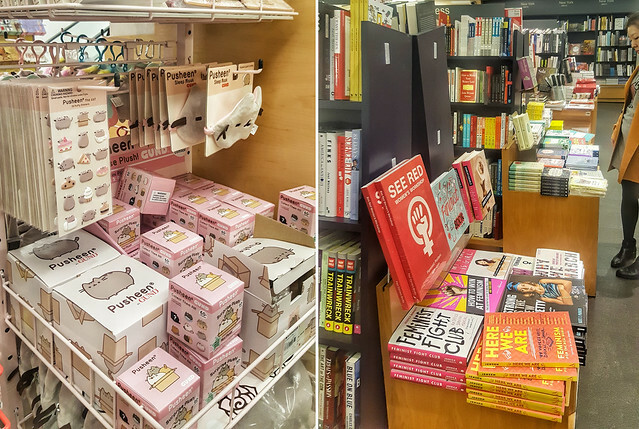 On the first floor there are only books in English, from the most recent fiction & non-fiction releases to other volumes on subjects varying from children’s literature & illustrated books to fashion, cooking, design & others. On the second floor it’s absolute manga heaven! 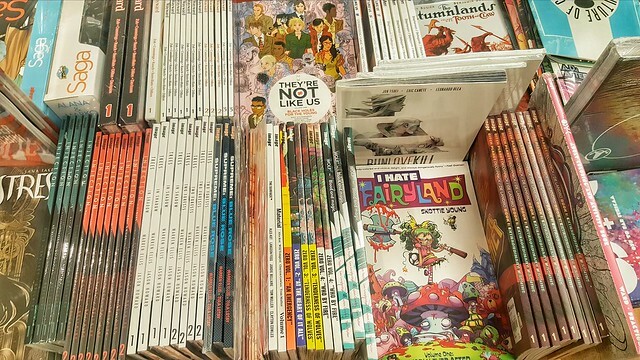 All the manga titles you could wish for (in English and Japanese), plus a multitude of comics & graphic novels, T-shirts, posters etc. And the entire store is sprinkled with little aisles of Japanese cute stuff (including Pusheen plushes). Oh, and what I was surprised to find there were the occasional signed copies (I got Tales of the Peculiar for Eve the last time I was there and a signed copy of Paper Girls Vol I this time), for the same price as regular copies. 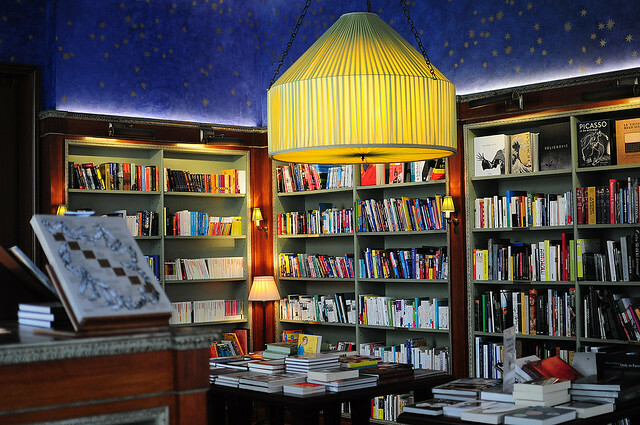 I can’t wrap up this article without mentioning Albertine, which is arguably the most beautiful bookstore I’ve ever seen. 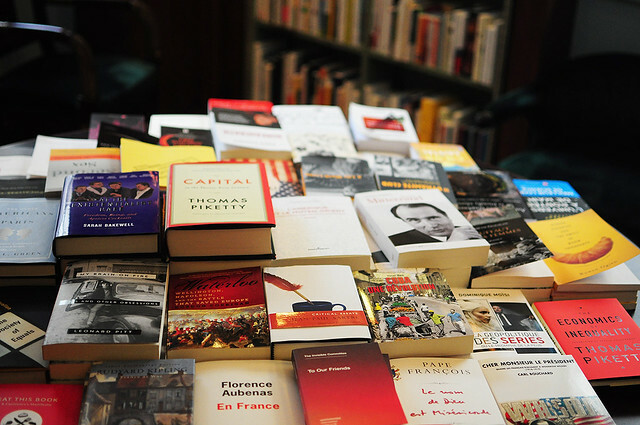 It specializes in offering French works in both English and French and I can only describe it as a booklover’s dream. It has cozy corners, accented with gorgeous vintage furniture and it’s so beautifully quiet that it makes you just want to curl up on a sofa an immerse yourself in a book. 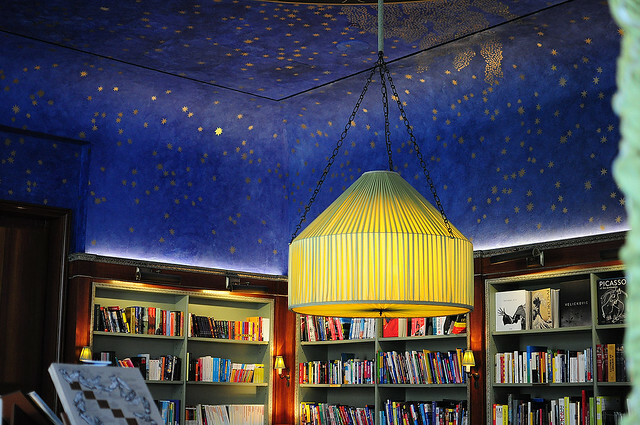 Oh and I didn’t mention the cherry on the cake: the breathtaking ceiling. 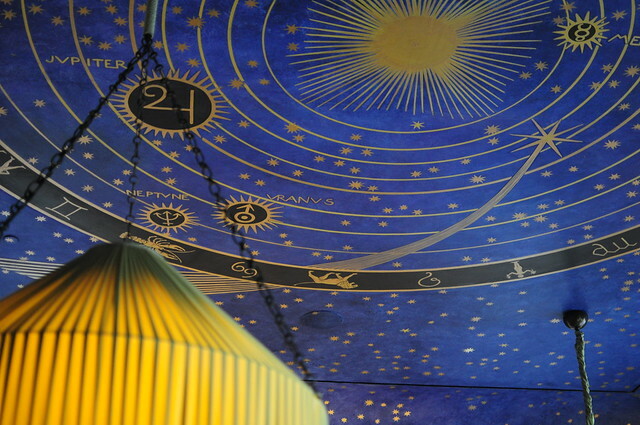 It’s painted in intense blue, sprinkled with golden stars & it has a stunning drawing of the zodiac. Absolutely magical! Albertine is located inside the French Embassy’s Cultural Services building on Museum Mile, across the street from Central Park. 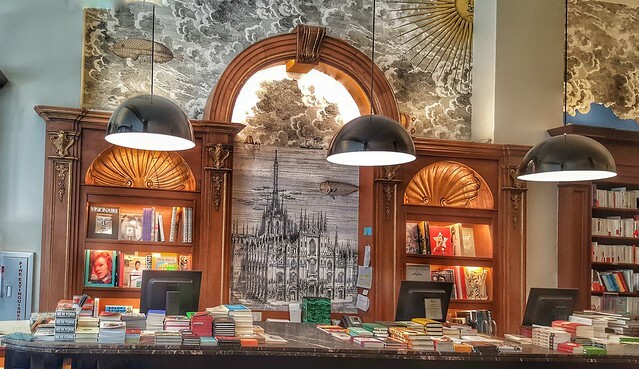 I hop you enjoyed my little guide to NYC bookstores. Stay tuned for more articles about my favorite places in the City.